A study conducted in 2009 by the National Shooting Sports Foundation and Southwick Associates found that 70% of gun shop owners reported an increase in female gun buyers. The survey also queried women on why they purchased a handgun and the overwhelming response was self-defense. 80% of female gun buyers purchased their guns for personal protection, followed by 35% for target practice, and 24% for hunting. Last year, women comprised almost 50% of those taking a first time handgun course. And gun shows are seeing more women in attendance than ever before. This female phenomenon within the fine art of firearms has not gone unnoticed by gun manufacturers who are now offering pistols and accessories specially geared toward the female gun owner. 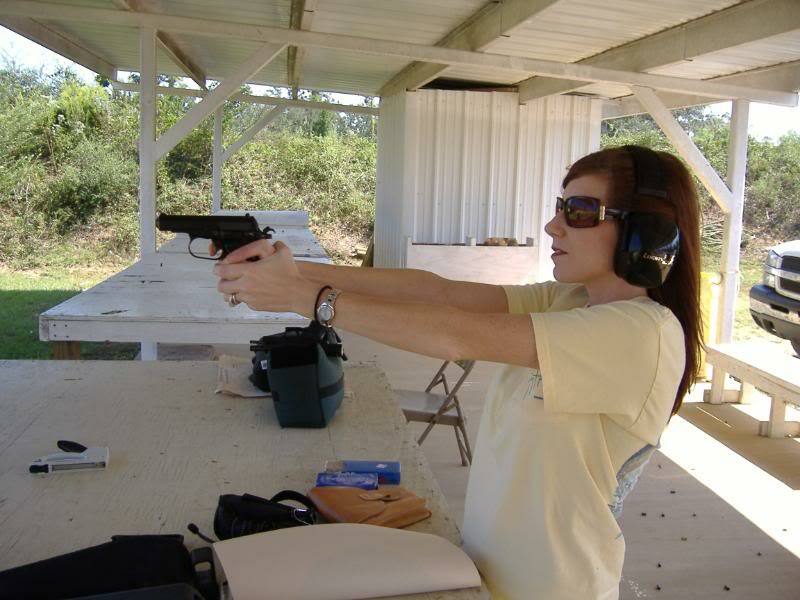 More women are also becoming actively involved in preserving our right to bear arms. Organizations such as Women Against Gun Control, Liberty Belles, Second Amendment Sisters, and Armed Females of America are a vocal force in this constitutional struggle. No longer content to be at the mercy of chance and circumstance, many women are turning to guns in their drive for personal safety. And I think it’s that very drive that will continue to give second amendment champions a decided edge in our ongoing fight for the right to own a firearm. This entry was posted in Political/Social and tagged buyers, guns, National Shooting Sports Foundation, personal protection, self-defense, survey, women. Bookmark the permalink. I purchased a new 9mm Clock and 4 clips this week. The store (gun/ammo dealer) had 6 different semi-automatic hand guns on display with pink grips. It brought a smile. I did not purchase one but did give it serious thought. Pink grips, oh my! I have a 9mm too but haven’t been to a range in a few years. Maybe it’s time to get cracking again.